I would like to introduce a local glass artist: Audra Reger. 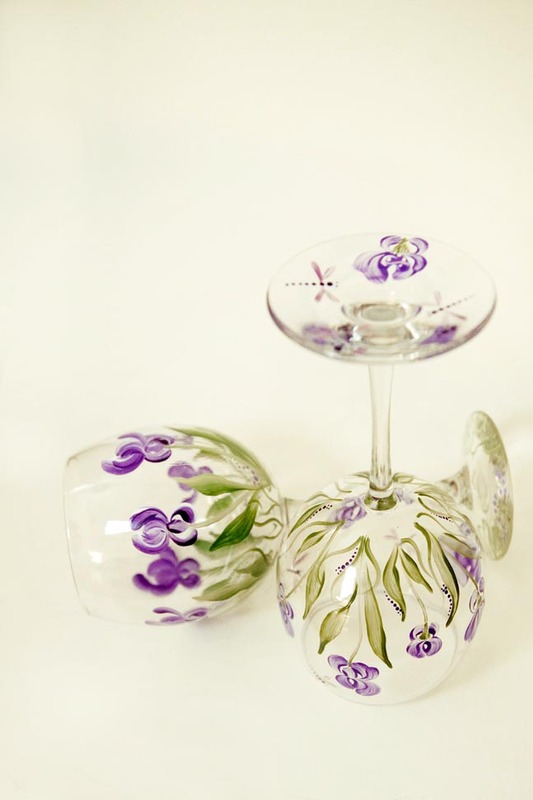 Audra was born and raised in Palmer and specializes in hand-painted glassware. Her love of art and a good glass of wine birthed the idea for her craft. 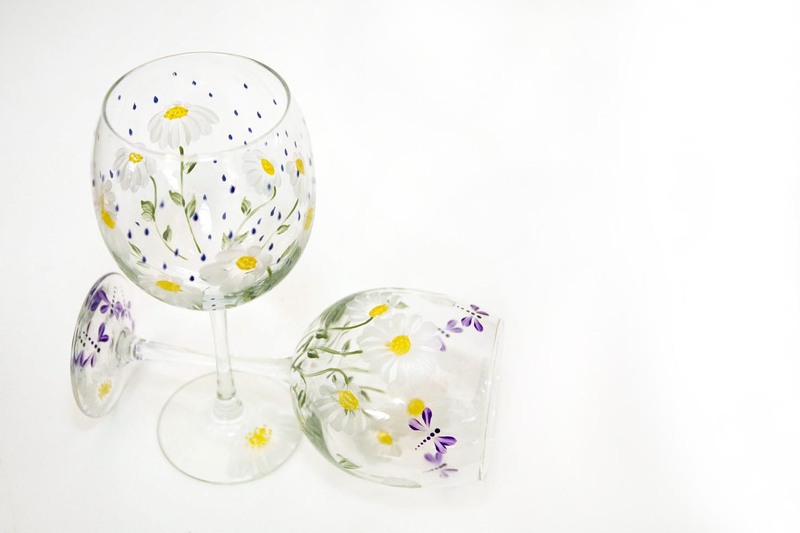 StarDust Designz offers beautifully hand-painted stemware, glassware and porcelain sets. Each piece can be personalized for a special someone or occasion to suit your needs. All of Audra’s work is done with non-toxic, European, thermo-hardening enamel paints. 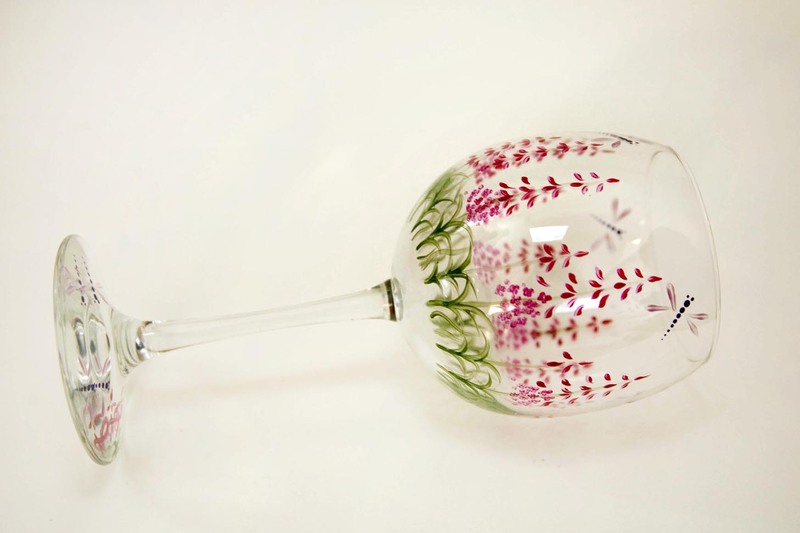 Each glass is unique as they are all designed and meticulously hand -ainted by the artist. Custom designs are Audra’s specialty, but you can purchase gorgeous ready-made pieces at NonEssentials. “I enjoy designing and creating custom pieces,” says the artist. Every order can be completely customized with text, color, pattern, glass type, no extra charge. Just e-mail Audra with your custom order. She does offer discounts on large quantity purchases. This would be a great custom gift for weddings, or bridal showers! We are excited to see art thriving locally and hope you enjoy it too! For more information or photos, check out www.StarDustDesignz.com.